Karawang. 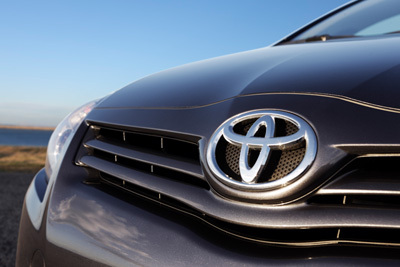 Toyota Motor Manufacturing Indonesia, the manufacturer of Toyota cars in Indonesia, started exporting its Vios sedan to Persian Gulf nations on Wednesday, marking the first sales of this vehicle brand to that region as it expands from Southeast Asia. TMMI - which is 95 percent controlled by the Toyota Motor of Japan and 5 percent by Astra International, Indonesia’s auto distributor - rolled off the initial shipments of Vios from its plant in Karawang, West Java. Warih Andang Tjahjono, vice president director at TMMI, said the company is eyeing steady exports of 1,000 Vios sedans per month through June. The company will gradually increase monthly shipments to 3,000 units by the second half of this year. “We want to see how the market develops there,” he said in a media briefing on Wednesday. TMMI is selling the sedan to nine gulf countries: Bahrain, Kuwait, Oman, Qatar, Saudi Arabia, United Arab Emirates, Jordan, Lebanon, and Yemen. “The biggest export would include Saudi Arabia, Oman, and United Arab Emirates, which is expected to account for 50 percent of sales,” Warih said. TMMI has been selling Vios to neighboring countries such as Brunei and Singapore since December. The company has exported a total of 500 units per month on average to both countries. Vios has been manufactured at TMMI’s Plant II in Karawang since late last year. It has another plant in Karawang producing the Fortuner sport utility vehicle and Kijang Innova multi-purpose vehicle. Vios has a price tag of around Rp 250 million to Rp 280 million ($21,700 to $24,300) in the domestic market, depending on specification and transmission types. Such prices typically include tax and registration costs. The Karawang plant, which cost Rp 3.3 trillion to build, has an annual production capacity of 120,000 units. aside from Vios, this plant produces the Etios Valco and Limo sedans. TMMI has been selling other models, including the Etios Valco, to 70 countries. The company said in a statement on Wednesday that it will start producing the Yaris hatchback model in early April. TMMI raked in $1.9 billion from exports of its manufactured cars in 2013. The company estimates overseas shipments by value to rise 26 percent to $2.4 billion this year. Last year, it shipped a total of 118,355 units of completely built-up (CBU) cars, up 3.4 percent from 114,504 units in 2012. TMMI’s car exports made up 70 percent of Indonesia’s total CBU car exports in 2013. Data from the Indonesian Automotive Industry Association (Gaikindo) showed that the nation exported 170,907 units of CBU cars last year. Wednesday’s ceremony of Vios exports was also witnessed by Hiroyuki Fukui, managing officer at Toyota Motor, and two Indonesian ministers - Trade Minister Muhammad Lutfi and Industry Minister M.S. Hidayat. Fukui says that the company aims to make Indonesia its production base. “Toyota considers Indonesia as a key global manufacturing and supply base. Toyota Indonesia has proven to be a good global production and supply base for multipurpose vehicles such as Kijang Innova and Fortuner,” Fukui said in a statement distributed in Jakarta. Toyota Motor, which distributes its cars through another affiliate company Toyota-Astra Motor, commands the biggest market share in Indonesia, at 35.4 percent.